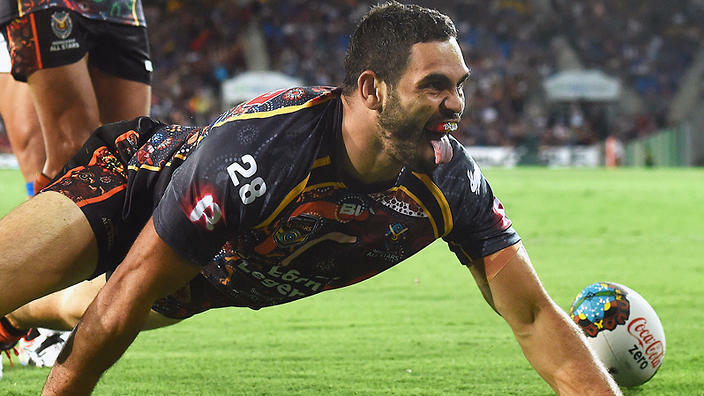 South Sydney captain Greg Inglis had admitted he almost turned his back on Redfern for a return to Melbourne or even the Brisbane Broncos. Inglis joined Souths after the salary cap scandal hit the Storm but not before travelling to Brisbane where he initially agreed to go before changing his mind and linked with Russell Crowe’s Rabbitohs. “Brisbane was a genuine thought, I even thought about Melbourne,” he said. Inglis said his children were the deciding factor. “We have two kids now so we had to think about what’s best for them,” he said. “Our oldest one is two, so by the contract finishes up he’ll be starting school.